Archaeologists have found over 60,000 previously undiscovered ancient structures in northern Guatemala with the help of lasers, in the largest survey ever done in the region of Maya civilization. The survey combats previous assumptions that the area was poorly connected and sparsely populated, as archaeologists found structures like farms, houses and defense forts and 60 miles of roads and canals connecting large cities. One archaeologist, Sarah Parcak, who was not involved in the survey reacted to the it's findings and photographs on Twitter, writing: "This is HOLY $HIT territory." Before these structures were discovered, past archaeologists thought that the Maya lowlands in northern Guatemala were just small city-states that were independently governed. But with this new research, it is now theorized that the cities were more connected and populated than archaeologists had previously thought. The survey now leads scientists and researchers to believe that as many as 7 to 11 million people lived in Maya civilization in that region from 650 to 800 A.D., many more than previously estimated. The authors of the article showcasing the survey's findings wrote that a "re-evaluation of Maya demography, agriculture and political economy" are now needed. The findings were published this past week in Science. The structures and settlements were discovered using a remote sensing method called "light detection and ranging" or "lidar" to evaluate regional patterns. Previously, it was difficult for researchers to know where exactly ancient structures were buried or hidden, but the technology is able to sort through the dense jungles and forests to identify areas that have ancient structures. While lasers can lead archaeologists to the sites, they still have to excavate areas to discover exactly what was underneath the surface. “All of us saw things we had walked over and we realized, oh wow, we totally missed that,” Marcello Canuto of Tulane University told The Washington Post of the new lidar maps. Canuto was one of the researchers on the survey. The study's author, Mary Jane Acuña, said that the discovery is like "putting on glasses when your eyesight is blurry." Acuña is the director of El Tintal Archaeological Project in Guatemala. 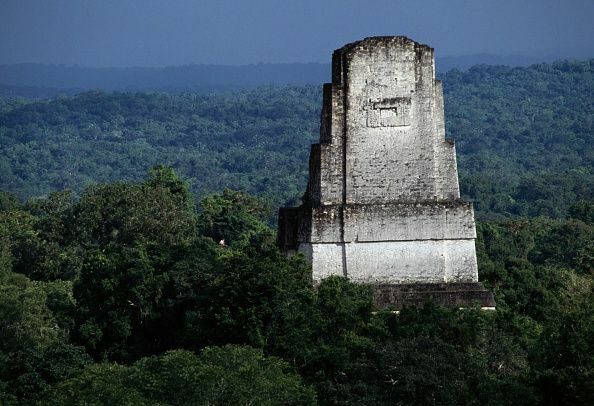 At its height, the Maya civilization existed from southern Mexico to Guatemala and Belize. Previous research shows that the Mayan people excelled at agriculutre, calendar-making and hieroglyphic writing. But by 900 A.D. many of the Mayan cities were abandoned and scholars still debate what caused the civilization's decline.